Look at a list of the musicians whose songs and albums are among the biggest sellers of 2015 — or are among the most nominated for February’s Grammy Awards — and of course you’ll find Adele, Taylor Swift and the Weeknd, all of whom have played — or are booked to play — in Seattle. But there’s another name on that list, one that connects these disparate superstar acts, though it may be unfamiliar. 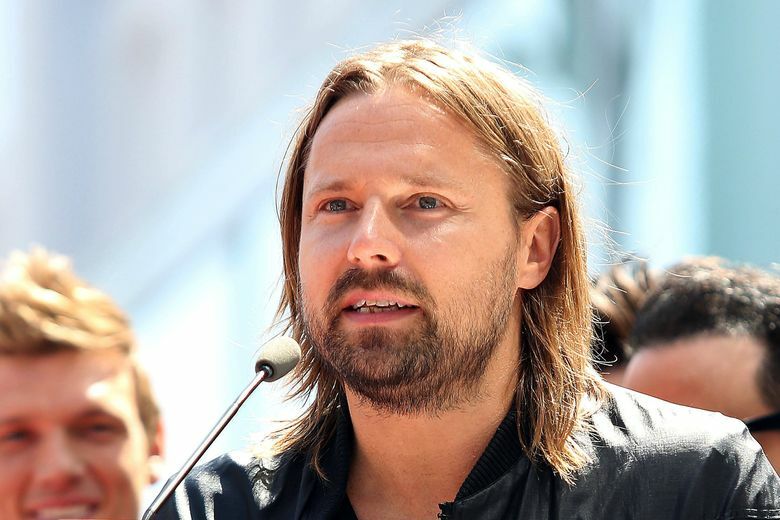 The name is Max Martin, and it belongs to the publicity-shy 44-year-old Swedish songwriter and producer whose brilliant record-making straddles the line between art and science. With Swift and a small crew of other collaborators, Martin created more than half of Swift’s “1989,” which is up for an album of the year Grammy and has spun off five top 10 singles, including “Blank Space” and “Bad Blood.” He co-wrote and co-produced last summer’s No. 1 smash “Can’t Feel My Face” from the Weeknd’s “Beauty Behind the Madness,” also nominated as album of the year. And with Adele he made “Send My Love (To Your New Lover)” a welcome flash of sass on the British singer’s ultra-dramatic “25,” the year’s biggest commercial hit by far with sales of nearly 6 million copies. Yet the past 12 months haven’t been only about success for Martin, who began 2015 by picking up a Grammy of his own for producer of the year (thanks in part to his work with Katy Perry and Ariana Grande). This year also felt like a pivot point in Martin’s impressive career, a period of transformation for a crafty creative genius with a clear sense of how music is moving. The son of a policeman, Martin learned to play drums, French horn and keyboard in Sweden’s public school system, according to “The Song Machine,” a recent book about the pop-music business by New Yorker staff writer John Seabrook. In the mid-1980s, he joined a rock band called It’s Alive; it never quite broke out, but the group eventually led to Martin meeting the established Swedish producer Denniz Pop, who’d overseen the earliest hits by Ace of Base. Recognizing Martin’s flair for writing catchy songs, Pop took on the younger musician as a protégé, and by the mid-1990s Martin was helping to craft the singles that would turn the Backstreet Boys into a global phenomenon. Work with Britney Spears and ‘N Sync followed, Martin honing a signature sound — precise melodies, arena-rock dynamics, lithe R&B grooves — that he’d apply to whichever act had hired him. Today, when you think of teen pop, it’s generally Martin’s ideas, not those of the individual artists, you are hearing in your head. As his songs came to blanket Top 40 radio, Martin retreated from public view, insisting he was more interested in making music than building his celebrity. But he was paying attention to the outside world, and in the mid-2000s his approach shifted to incorporate the scruffy indie-rock guitar textures he built into songs like Kelly Clarkson’s “Since U Been Gone” and Pink’s “Who Knew,” both of which he co-created with another producer, Dr. Luke. Before long, that sound became as inescapable — and as plug-and-playable — as Martin’s earlier teen-pop style. Phase 3 of Martin’s career, which began a few years ago but really took shape in 2015, feels different from those earlier eras. For one thing, his music is getting leaner, less dependent on the explosive payoff that used to define his choruses. Listen to Selena Gomez’s “Hands to Myself” or Adam Lambert’s “Ghost Town,” both from this year, and you hear — well, not much: a beat, a vocal, wisps of accompaniment that seem designed not to get in the way of the beat or the vocal. He’s also dabbling in softer sounds, as in “Love Me Like You Do,” Ellie Goulding’s deeply tender ballad from the “Fifty Shades of Grey” soundtrack. Nominated for a Grammy and a Golden Globe, it’s grandly scaled but intimate in tone, a quality that also defines “Shameless,” another of Martin’s collaborations with the Weeknd. You get the sense that Martin’s time with Adele and Swift went the same way. The latter, in fact, used the deluxe edition of “1989” to make just such a point with a series of bonus tracks that capture her songs in rough-sketch form. The demos tell us Swift wasn’t looking for a Svengali; the finished tracks tell us Martin met her halfway. Does that amount to compromise? That’s not how I hear it. Pop has changed since the days of Britney and Backstreet, when superstars were less accessible and more opaque; now fans consume songs as part of a continuum of content that also includes Twitter and Facebook and Instagram. They want to feel as if they’re being addressed by a human, not a factory, so Martin has simply adapted his machine to deliver that feeling. And if he can do it convincingly with Adele, the most potent personal brand in music, there’s no telling whom he might hook up with next year. Vince Staples? Sufjan Stevens? Barbra Streisand?